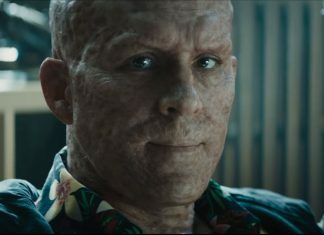 Spoilers ahead, beware! 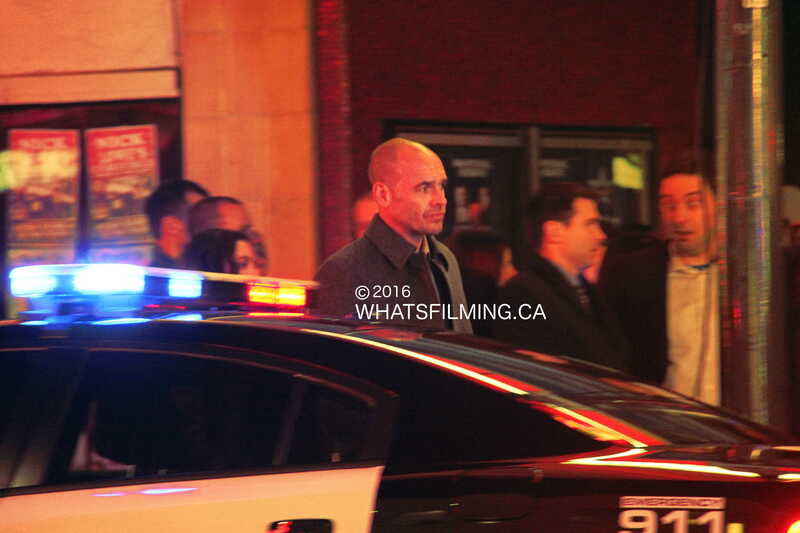 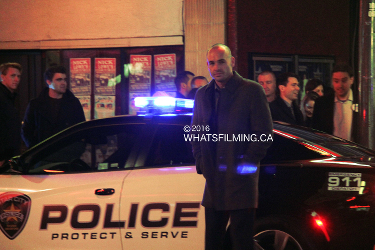 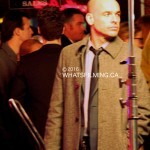 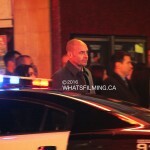 Last night, Arrow filming took place in front of Vancouver’s historic Vogue Theatre for a Star City Mayoral Debate with Paul Blackthorne, Emily Bett Rickards and Katie Cassidy. 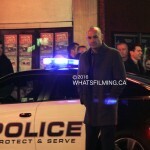 Check out some photos from the set below. 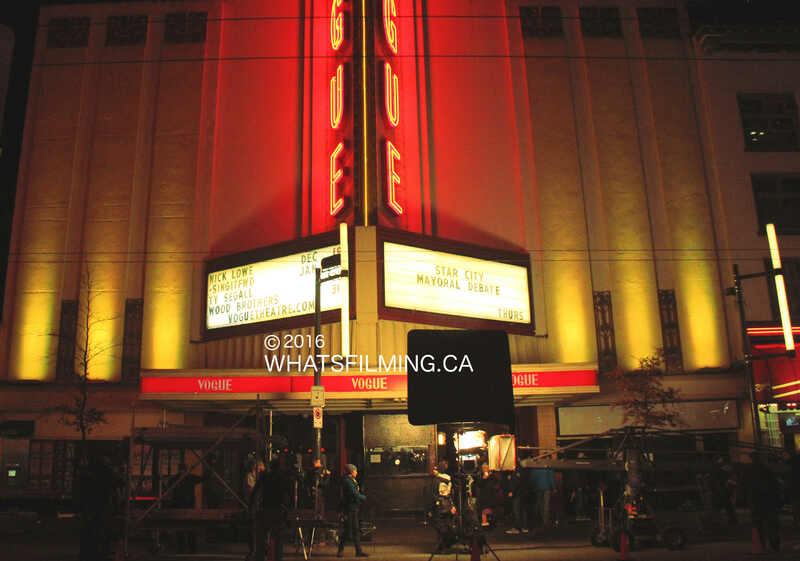 Arrow filming at the Vogue Theatre started on Tuesday, January 6th with some interior scenes for episode 14 of Season 4. 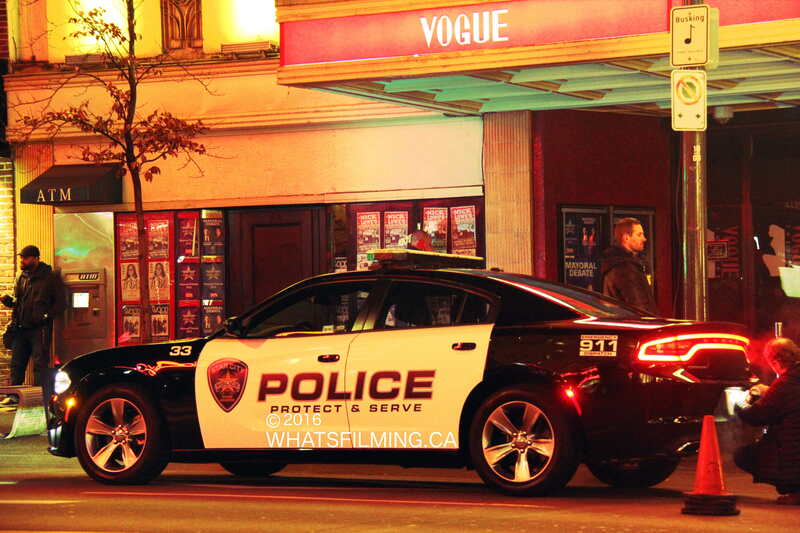 Filming continued inside the theatre during the first part of the day Wednesday. 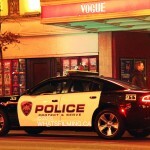 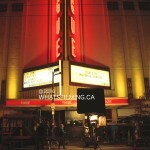 In the evening crews moved outside to the Granville Street entrance of the theatre to film an “emergency evacuation” scene. 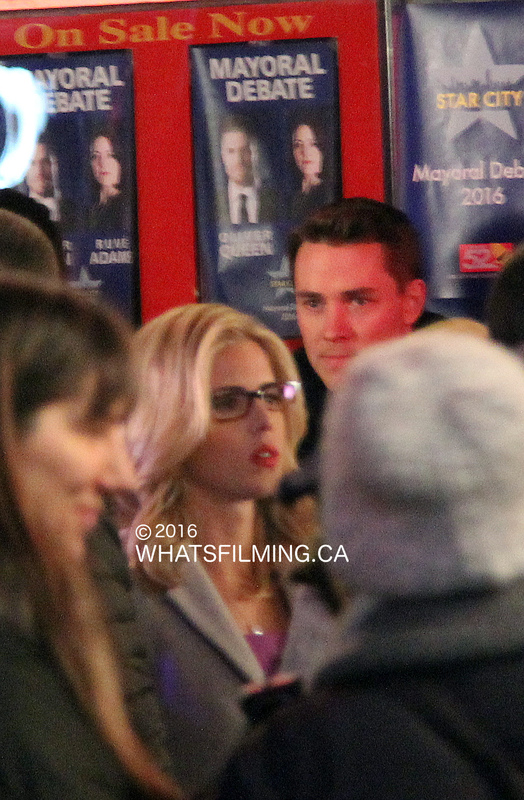 As the show hinted in a couple episodes before the winter break, it looks like Oliver Queen won’t be running unopposed after all… and his opponent isn’t Damien Darhk. 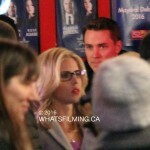 Posters at the set showed Oliver facing off against a Ruve Adams. 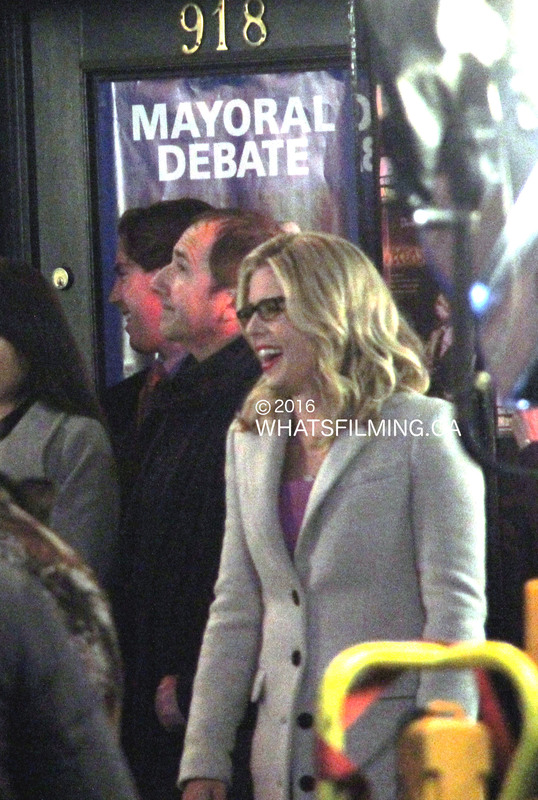 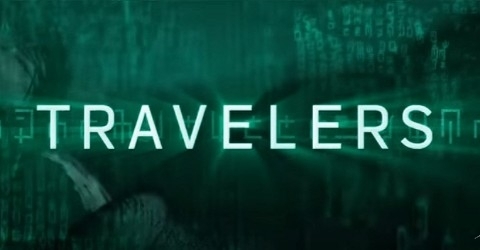 The name doesn’t ring any bells to me, but after re-watching the finale it looks like it is Damien Darhk’s wife. 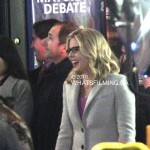 Once the cameras were rolling, Quentin Lance (Paul Blackthorne) arrived on scene and made his way through the chaotic mob of people towards none other than everyone’s favourite computer geek, turned CEO Felicity Smoak. 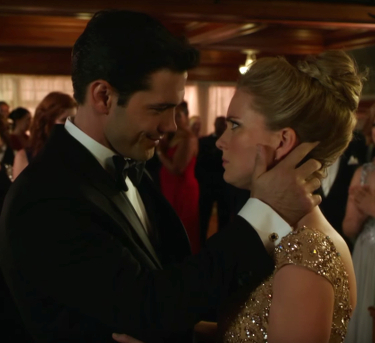 After the cliffhanger we saw at the end of the winter finale it will be interesting to see how the story unfolds to get us to last night’s scene. 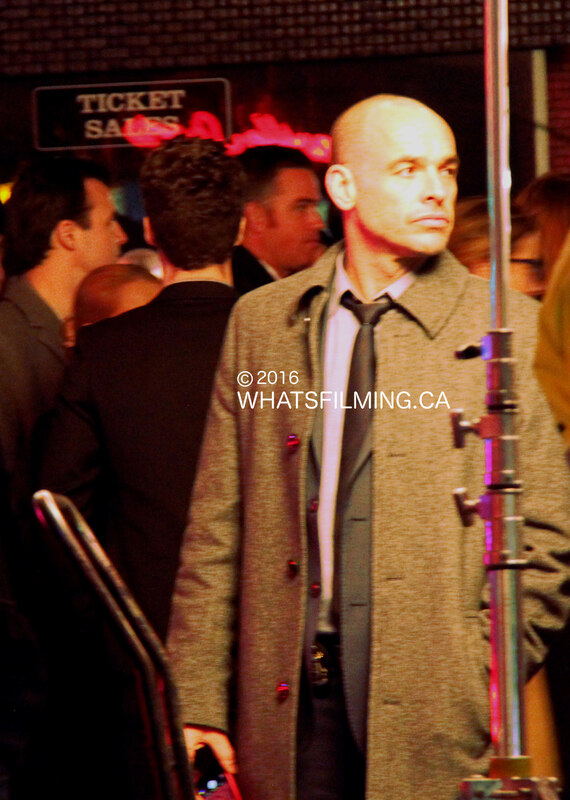 After a painfully long break without new episodes of Arrow, the show returns for its mid-season premiere on Wednesday, January 20th at 8pm on CTV. 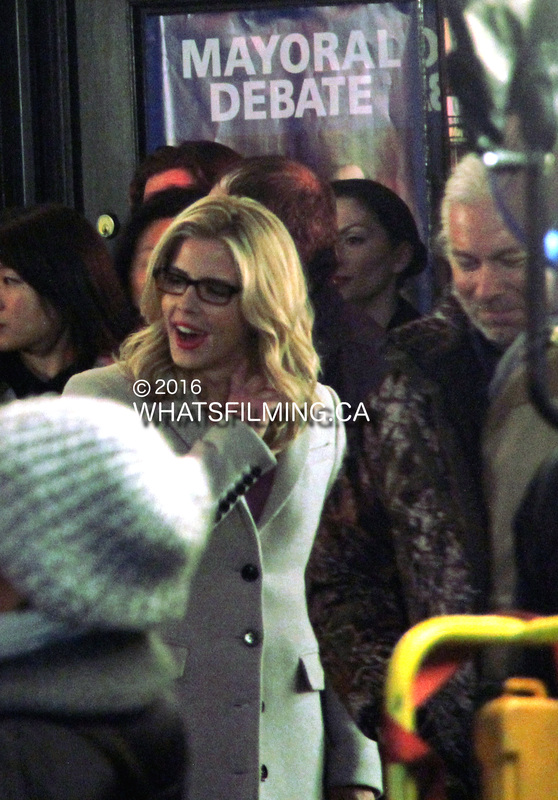 Arrow filming will continue in the Vancouver area until April 22nd.